FIRST is excited to present the 2018 Women In STEM Panel and Workshop. Interactive, engaging, empowering, inspiring, and collaborative are just a few words to describe this year’s newly revamped event. Women enhance the value of science, technology, engineering, and math and they contribute tremendously to STEM fields. Women in STEM have contributed to some of the most important discoveries and technological innovations in STEM. Let’s celebrate the accomplishments and the journey of professional women in STEM, while inspiring and motivating GIRLS to LOVE STEM! The goal of this workshop is to provide young women the opportunity to interact with women in STEM. The 2018 Women In STEM Panel and Workshop can be a life changing experience. The workshop is 2 hours and will include a panel Q&A to give participants an opportunity to ask questions of women in STEM. The panel will consist of a diverse array of women from various backgrounds related to STEM. The second hour of the workshop will include small group hands-on activities in which participants will be able to interact with the STEM professionals. This panel discussion and workshop will open the eyes to realities of a career in STEM for girls. FIRST values and celebrates both women and girls in STEM. Join us as we highlight and encourage more girls in STEM. Get ready for a memorable experience! #FIRSTLikeAGirl will be used to promote this year’s 2018 Women in STEM Panel Conference session leading up to, during, and following our FIRST World Championship events in Houston and Detroit. We invite you to join this year’s discussion. 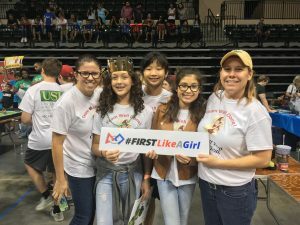 #FIRSTLikeAGirl is Team 1902’s effort to empower girls to pursue STEM and become and remain a part of the FIRST community. 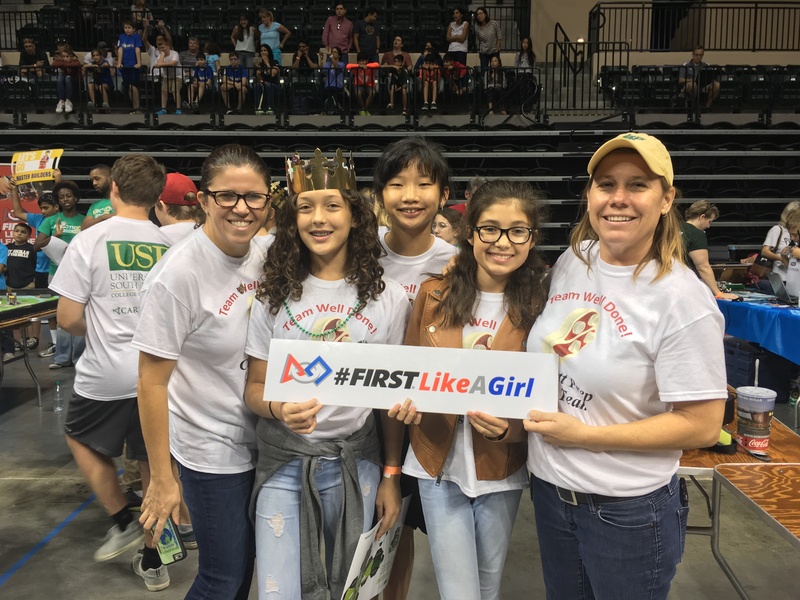 #FIRSTLikeAGirl is Team 1902’s effort to encourage girls to pursue STEM and become and remain a part of the FIRST community. By sharing our stories, we instill confidence in girls to pursue their dreams and show them that they are part of a larger community of women supporting each other. To all of the teams, making buttons, using the hashtag and getting out into your community and empowering girls everywhere! The FIRST® logo is a trademark of For Inspiration and Recognition of Science and Technology (FIRST®). ©2016 FIRST. All rights reserved.